Do anti-gun Democrats in New Jersey live in a vacuum? Are they completely unaware of the problems unfolding in New York and Connecticut with their gun registration/confiscation schemes? Or are they simply too power-mad to care? The New Jersey Assembly’s Law and Public Safety Committee was scheduled to hold a public hearing on Monday (postponed for snow) about a bill that reduces the maximum magazine capacity from 15 to 10. Since the legislation covers both detachable and fixed magazines, it has the effect of to banning popular, low-caliber rifles. 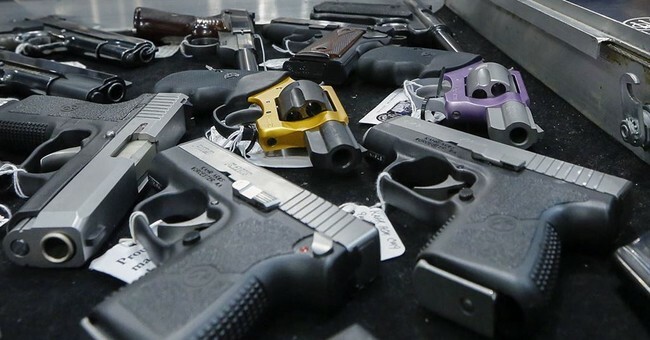 The Association of New Jersey Rifle and Pistol Clubs gave the draft legislation to top firearms experts in the country to determine what guns would fall under the expanded ban. They discovered that the bill would affect tube-fed, semi-automatic rifles because the magazine cannot be separated from the gun. Thus, the experts found that at least 43 common rifles would suddenly be considered a prohibited “assault firearm,” such as the .22 caliber Marlin Model 60, Remington Nylon 66 and Winchester 190. Just having one such gun would turn a law-abiding owner into a felon overnight. Anti-gun state legislators are losing their collective minds. If they aren’t careful, that might not be all they lose.